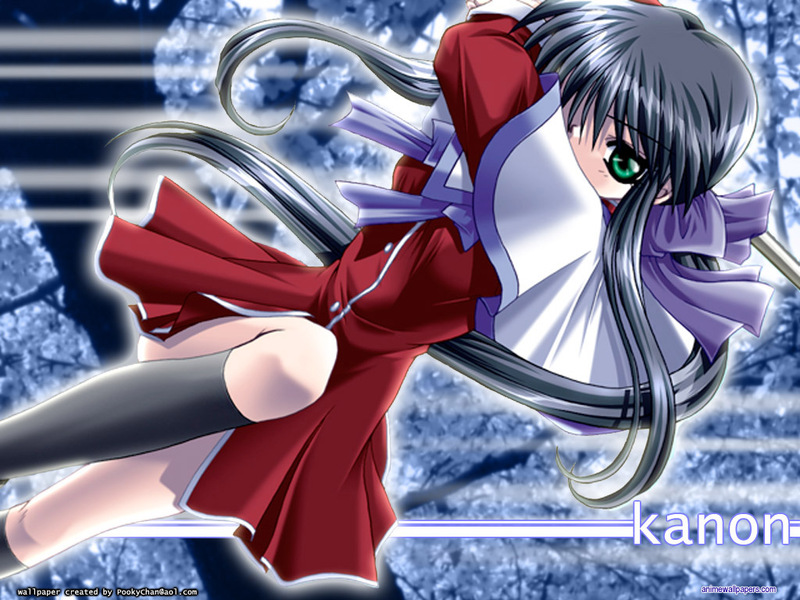 I love working with Kanon images. The art is beautiful and so versatile. Anywho, this is one of my older wallpapers that I forgot to put on the site. Simple design, but I like it that way. Very nice wallpaper. The trees in the background look great, and I love the blue tones. Mai...well, she's my favorite chatacter from Kanon, and it's a very nice scan, so no complaints there. Beautiful work.